Quite often, smokers will say that they intend to quit, but in reality they never find a compelling reason to stop. Now scientists appear to have found a link with smokers who opt for cosmetic surgery and the number of them who continue smoking after they have undergone their operation. This sentiment is reflected in the approach taken by Mr Alan Park and his team. Refraining from smoking in the weeks leading up to an operation, or ideally quitting altogether, is recommended. 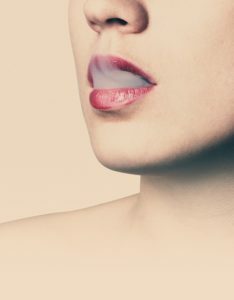 The rationale is based in scientific evidence that shows that those who continue smoking during and after a surgical procedure are more likely to experience problems with wounds healing, particularly problematic with procedures such as tummy tucks, breast lifts or facelifts where extensive tissue dissection and manipulation takes place. They are also more likely to suffer other detrimental side effects when recovering from an operation. The impact that smoking can have on patients’ recovery is so well known that some cosmetic surgeons won’t agree to carry out elective procedures on patients who refuse to refrain from smoking. Having said that, most patients appear willing to take surgeons’ advice on this once the pros and cons are explained to them. Achieving the best result possible from your cosmetic surgery procedure is partly down to the surgeon’s skill but also relies on how the patient heals. Some aspects of this are beyond the surgeon and patient’s control but smoking is a matter of choice. If you’ve invested considerable time and money in improving your appearance, then surely giving up smoking for a few months – or even forever – is a small price to pay.